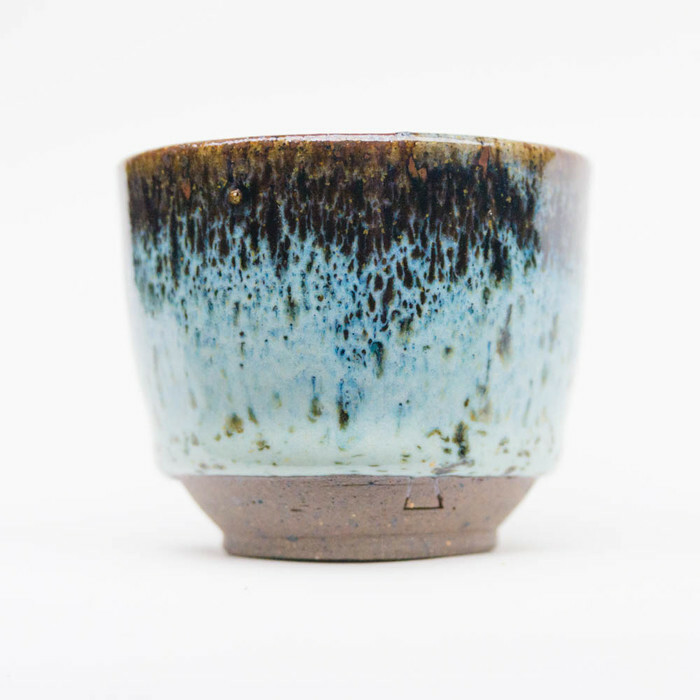 Like a cold, crisp, misty blue morning, these streaky blue and red cups are hand thrown on a pottery wheel in a gorgeous speckled iron-rich clay. 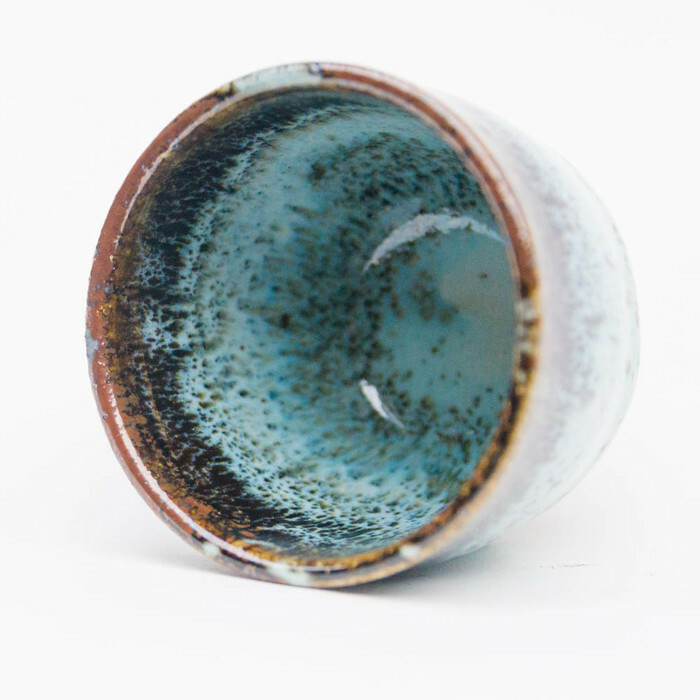 It's reduction fired in a gas kiln with an amazing blue grey variegated glaze. It's like a stormy ocean or misty mountain vista. 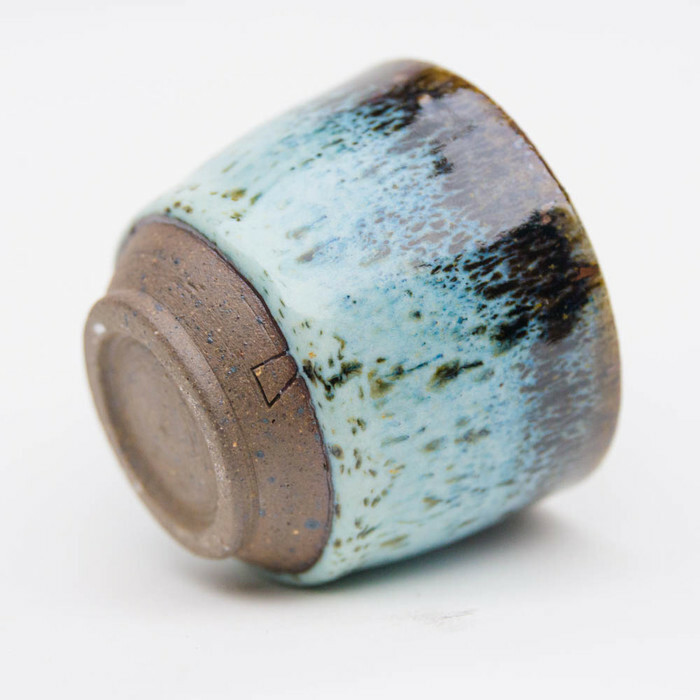 The size is just perfect as a little sipping tea cup or for a satisfying double espresso. 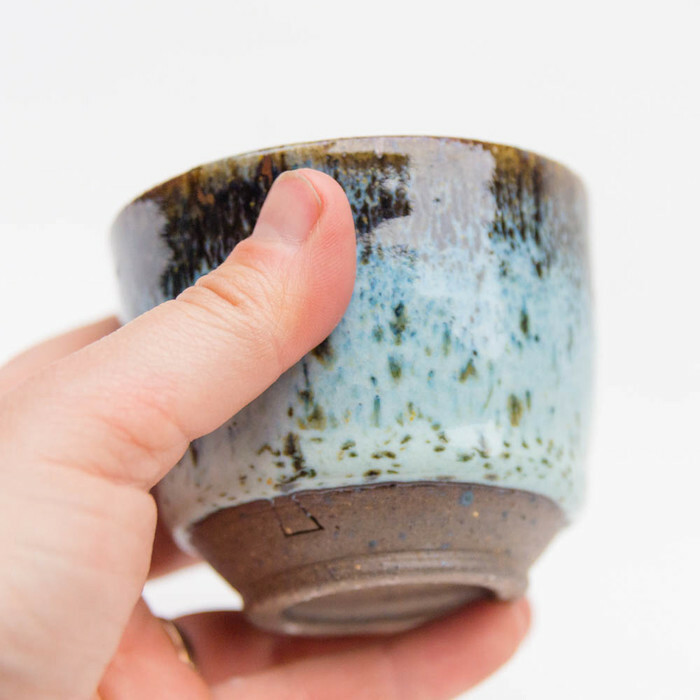 This cup is food safe as well as being microwave and dishwasher safe. 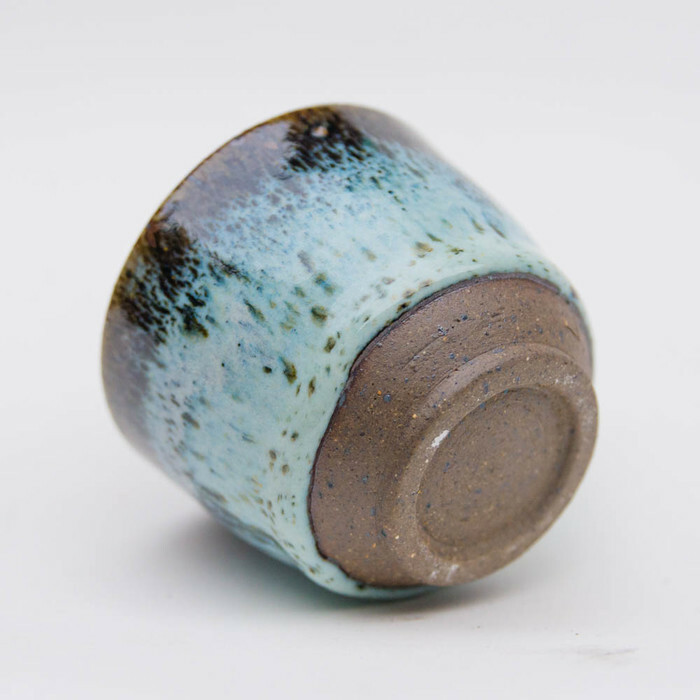 Each cup is hand-made and individual so variation occurs and yours will be unique, just for you! Please note - because these cups are gas fired, there are very limited numbers. Once they're sold out, they're gone forever! Whilst I do often make more batches with the same glazes and clays, the results vary from firing to firing.